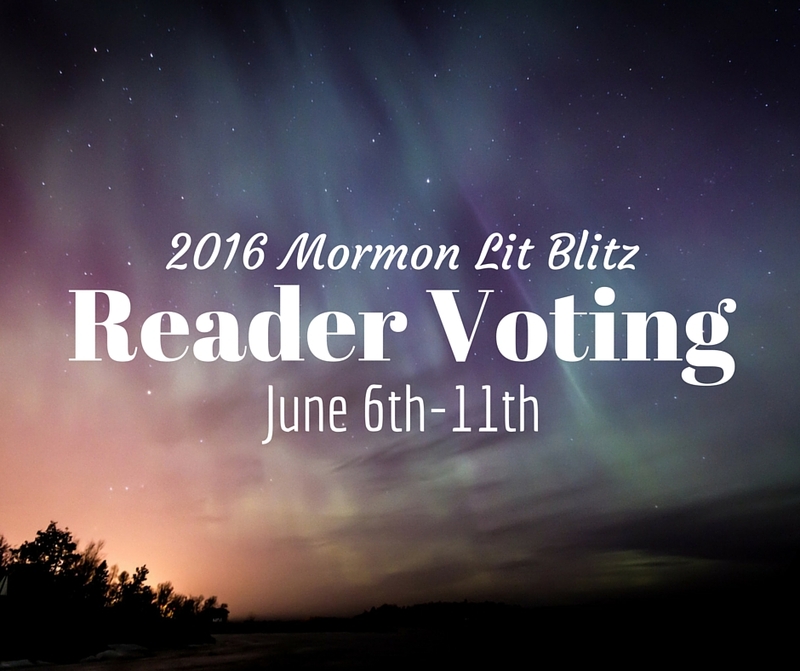 Voting for the twelve finalist of the 2016 Mormon Lit Blitz is now open through this Saturday, June 11. The editors have made it super easy to vote this year. Just click on the link above, open up the links to each of the eligible works in a new tab, narrow your choice down to four, rank those four and then fill out the form on the original page. Also: if you feel compelled to publicly comment on any or some or all of the entries, do leave a comment on the discussion post. We authors appreciate it when readers engage with what we wrote. “Foolish and Wise” by Lisa Barker: Lisa gets at something that I can really relate to — parables often present contrasts of two or three types of individuals. But most of us don’t fall cleanly into one of those types. We’re both or all. “Fresh Courage Take” by Bradeigh Godfrey: when it comes to flash fiction the most difficult thing to do is fit a robust premise into 1,000 words. Bradeigh chooses the right situation for his story. We’re so familiar with the post-apocalyptic/trek back to Zion tropes that he doesn’t need to worldbuild those out. Instead he shows us the emotional impact and let’s us fill in the blanks to add even more weight to the story. “Leaving Egypt” by Tyler Chadwick: When I taught the Old Testament, I was a bit harsh on the Children of Israel at points, but I also tried to show how they weren’t all that different from us and tried to provide context for their experience. Tyler captures in a few lines what weeks of clumsy lecturing on my part barely got across. That’s the power of poetry, folks. “Requiem for Those People Who Lived Briefly in Your Ward” by Rose Green: Transient ward members are such a pain. The ones who live in a place too long to be visitors but not long enough to settle in. The ones who you have to reorganize home and visiting teaching around. Who you want to get to know, but not too well because, well, it’s painful when people you love leave. Read that third to last paragraph again. What a perfectly observed metaphor with a multitude of meanings. “The Gift of Tongues“ by Annaliese Lemmon: I love, love, love that Annaliese takes this initial (very interesting and unique) conceit and then complicates it in a way that is so very Mormon. “Branch 9 ¾” by Kaki Olsen: I have a thing about the personal essay form. I so often find it frustrating. Too crafted. Too earnest. Not fiction. But here Kaki takes one of the major themes that preoccupies me on an abstract level — that of the interaction between Mormonism and the broader culture — and presents us with something very real and meaningful. “Golden Contact” by Lee Allred: Lee’s story is a joke. I mean that literally not as a commentary on the story. But I like that even in a story that is a joke Lee can include lines like “There’s sort of a unnatural sharkskin texture to them that almost glows.” He’s one of our best at expressing the uniqueness of Mormonism in a unique way. “The Back Row” by Kelli Swofford Nielsen: Kelli’s essay does for me some of the same things that “Branch 9 3/4” and “Requiem for Those People Who Lived Briefly in Your Ward” did but with the added bonus that because I’m a back row sitter (who underwent a similar process to that described in the essay), I can very much identify with her observations. 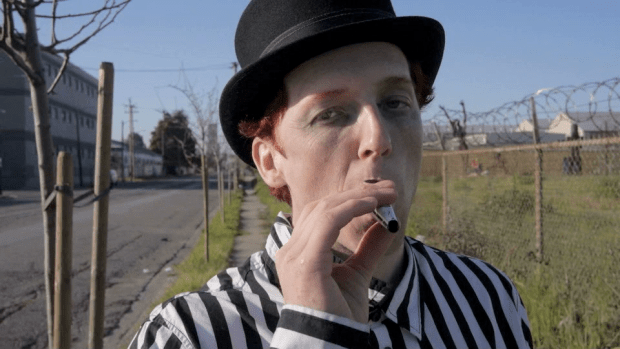 “Rumors of Wars” by Zachary Lunn: An impactful poem because it connects the wars of today with the Church of today with the Church and wars of before and does so with some simple, powerful imagery. “Last Tuesday” by William Morris: I hope other readers find that it balances the things I wanted to balance; otherwise, it’s kind of ridiculous. But what am I if not a leading Mormon purveyor of the ridiculous and the sublime? “From the East” by Merrijane Rice: While up until this year Steve Peck might have some claim to the crown, I think it’s now obvious that Merrijane owns the Mormon Lit Blitz contest. This poem is another proof why. Pay especial attention to the rhythm of it and the use of alliteration which seems profligate in its abundance until you read it out loud and then it seems perfect.